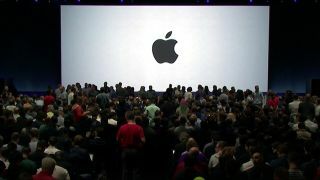 Apple's WWDC 2018 dates have been revealed, with the big keynote set for Monday, June 4, the company officially announced today. The San Jose, CA-based developer conference is almost certainly where Apple will reveal next milestone software updates: iOS 12, MacOS 10.14, watchOS 5 and tvOS 12. We also expect to see overdue hardware announcements, as none have been made by Apple in 2018. The HomePod has been its sole focus in the first half of this year. You'll be able to live stream WWDC 2018 in case you can't make it in person or afford the ticket price, which would be slightly more expensive than an iPhone X 256GB. It's going to be interesting to see how Apple talks up iOS 12. Its phone and tablet software updates have long been a big focus of WWDC, but this year could be different. Apple has reportedly shelved many exciting features intended for iOS 12, including a home screen redesign and several app tweaks. Instead, it's focusing on reliability. There's good reason to want to iron out the kinks of iOS 11. There's been a number of critical iOS 11 problems that have left too many Apple devices laggy and buggy. We're still likely to see enticing features, like universal apps between the iPhone, iPad and Mac. Apple won't merge iOS and macOS, but this sounds like the next best thing. Apple is rumored to be readying more than just software ahead of this year's World Wide Developer Conference. New MacBook computers and iPads are anticipated, too. Specifically, the MacBook Air is thought to be making a comeback, this time with a Retina Display in the familiar 13.3-inch screen size. That's a slightly bigger display than the current 12-inch MacBook, and should come in at a cheaper price, the Air's biggest selling point. We're in for a redesigned iPad Pro this year, complete with a TrueDepth camera, Face ID and thinner bezels, but that's not what we think will launch at WWDC. It's too soon for that (the iPad Pro 12.9 and iPad Pro 10.5 are only nine months old). Instead, a sequel to the cheaper entry-level New iPad (2017) could be the big highlight. Between reliable software and cheaper MacBook and iPad options, Apple seems to be focusing on providing fewer flashy announcements and more consumer-friendly updates. We'll know for sure on June 4.